German Talmudist and Hebrew scholar at the beginning of the eighteenth century. He was styled by his contemporaries "the father of those that interpret according to gemaṭria." 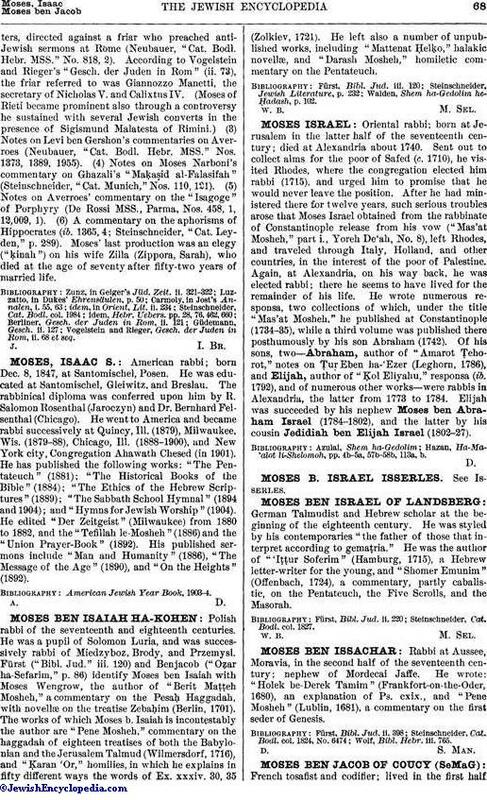 He was the author of "'Iṭṭur Soferim" (Hamburg, 1715), a Hebrew letter-writer for the young, and "Shomer Emunim" (Offenbach, 1724), a commentary, partly cabalistic, on the Pentateuch, the Five Scrolls, and the Masorah. Steinschneider, Cat. Bodl. col. 1827.